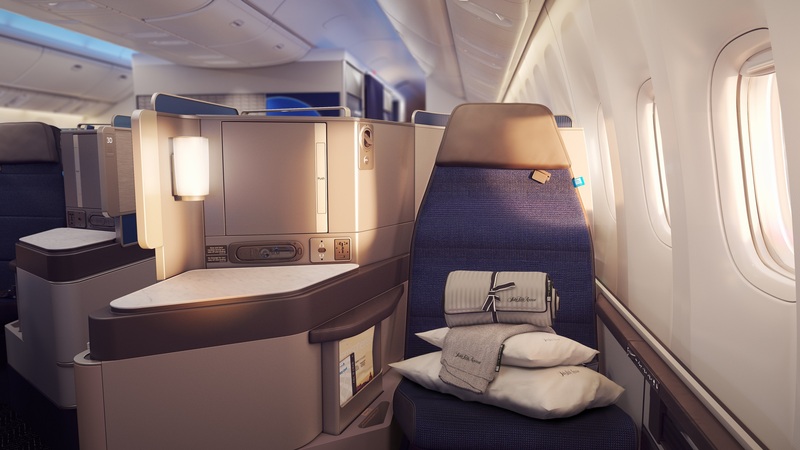 Just last week United announced a new business class product, dubbed “Polaris” after the North Star, that will be introduced to their long-haul fleet starting in December. I’ve never seriously considered flying United’s premium cabins before because it hasn’t been appealing when compared to other options — especially foreign carriers. I also rarely consider United when planning my domestic travel. More on Polaris later, but first I’ll explain why I think this announcement really matters. Although I’m a big fan of the United MileagePlus program due to its award flexibility and award partners, I haven’t chosen to fly United on a paid fare in quite some time. Their aircraft aren’t the most comfortable, their hard product (seats, etc.) is still inconsistent across the fleet and, most importantly, their customer service has really fallen apart. I learned my lesson that if you want to check a bag that travels with you, don’t fly United. Now don’t get me wrong — if it’s the cheapest option, a short flight, and I only have a carry-on bag, I’ll choose United. However, I’ve been purposely avoiding them for several years because of these combination of factors. I attribute these systemic problems to previous United CEO Jeff Smisek. I don’t necessarily blame flight attendants, pilots, and ground staff – many of them are proud of their airline from long before the merger (both United & Continental) – but I do believe it starts from the top down. The culture Smisek created at United stifled growth, didn’t reinforce the importance of customer loyalty through delivering a positive travel experience, and gave his employees less to be proud of. I’ve been nothing but impressed so far from Smisek’s successor, current CEO Oscar Munoz. He has put an emphasis on the customer and has realized that United has fallen behind the competition. Delta has upgraded their offering with the evolution of DeltaOne, Comfort+, and improvements of fleet-wide in-flight entertainment. American has introduced new cabins on many aircraft in their fleet, including first and business class on the A321T for flights between the coasts that equals long-haul offerings on their new flagship 777-300ER aircraft. United was stuck with premium cabins containing 8-abreast seating and no privacy when competitors have the more common 4-abreast seat layout. Munoz and his team are pushing for a better traveler experience, and that shows with the announcement of their new premium cabin and airport lounge offerings. Although the design work for Polaris preceded Munoz, I believe this is the first step to what I believe will be a better overall traveling experience with United in any cabin. 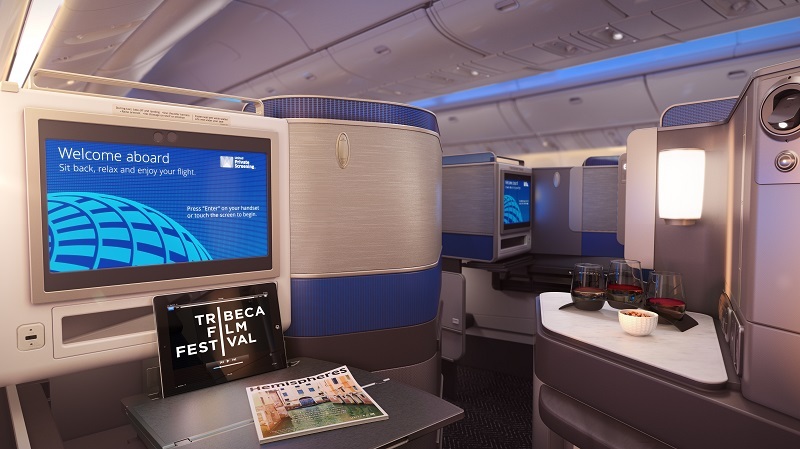 If international premium cabins are being upgraded, it’s only a matter of time before the economy cabins are enhanced to match (or hopefully exceed) the competition. There’s a culture shift occurring at United that’s starting from the CEO. When the leadership at an airline makes decisions that strengthen the brand and aim to increase customer loyalty, its employees gain a sense of pride that fosters improved customer service and a better overall experience. This is just the start on a long road for United, but I like what I see so far and I’ll certainly reconsider flying United more often as this airline evolves around Munoz’ leadership. Take a deeper look at United’s new Polaris product. Previous Article Travel Tip: Always Search First Class Fares!